Appalachian Chimney Sweep offers chimney cleaning services with an Amish work ethic. We provide honest, prompt service and leave no mess behind ourselves. We offer state of the art chimney cleaning with the newest equipment. Cleaning your chimney removes soot and toxins helping your fireplace or wood stove burn more cleanly and safely. The goal of chimney sweeping is to reduce the risks of chimney fires by removing the creosote buildup in your chimney. We also install chimney caps for wind protection and to eliminate back drafts so that your chimney draws correctly. If your chimney leaks, we can repair and waterproof your crown, cap or masonry. We clean chimneys of wood, oil and gas stoves or fireplaces. We can install chimney liners for wood burning and oil systems. We provide major and minor repairs of most systems. Regular chimney cleaning may help to provide you with discounts from your home insurance provider. Appalachian Chimney Sweep accepts calls 7 days a week but only schedule work from Monday through Saturday. Emergency service is available every day of the week. Discounted rates are available to multiple dwelling owners and Property Management companies that schedule annual cleaning services. We service the North Carolina Counties of Watauga, Ashe, Wilkes, Caldwell, Burke, Avery, Johnson TN and the surrounding areas. This includes the towns of Boone, Blowing Rock, Banner Elk, Beech Mountain, Mountain City, West Jefferson, Zionville, Sugar Grove, Vilas, Valle Crucis and Wilkesboro. Please call us for any Chimney Cleaning, Chimney Repairs or Fireplace Repairs. 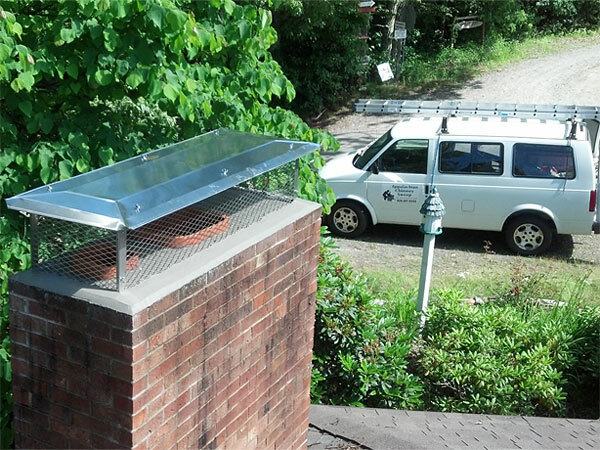 I’m Michael Imler the owner of Appalachian Chimney Sweep and I’m on site for every job. I learned my work ethic when I was young. I first worked in an Amish community farming. I then worked for my father an electrician in Maryland. In 1992 I started working as a chimney sweep. In 2002 I brought my experience and work ethic to Boone North Carolina where I started my business Appalachian Chimney Sweep. I take great pride in my work. You can depend on me to be prompt and professional with all my service. I have an attention to detail, a pleasant disposition and an eagerness to solve all your chimney and fireplace needs. We will take care of you and your property! ©2019 Appalachian Chimney Sweep, Boone NC – All Rights Reserved.